Gong Hey Fat Choy for 2014! I had wanted to experience Chinese New Year in an Asian location for many years so it was very interesting to be in the heart of the celebrations when I visited Singapore last year. I understand Chinese New Year is dependant on the lunar calendar so the date tends to varies slightly from year to year – It’s also known as the Spring Festival. 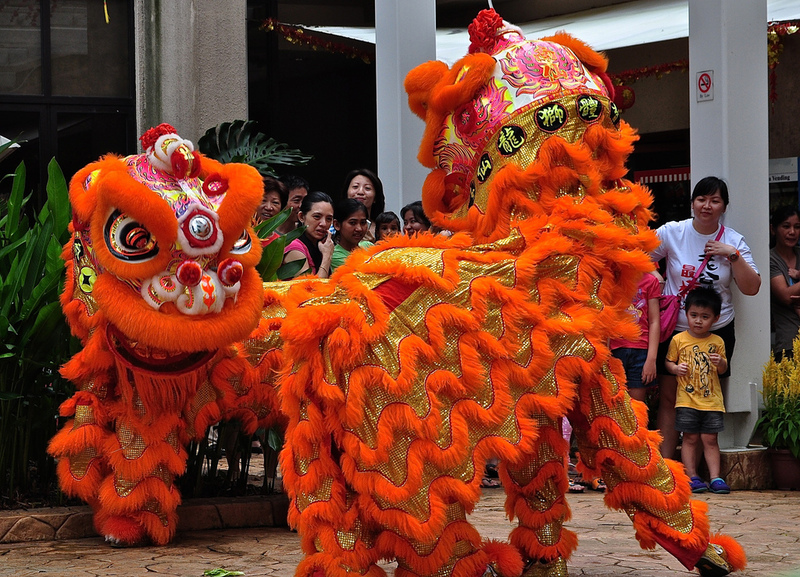 Wikipedia tells me – According to myth and legend, the beginning of Chinese New Year starts with the fight against a mythical beast called the Nian. Nian would come out on the first day of New Year to eat livestock, crops and even villagers, especially children. To protect themselves, the villagers would put food in front of their doors at the beginning of every year. 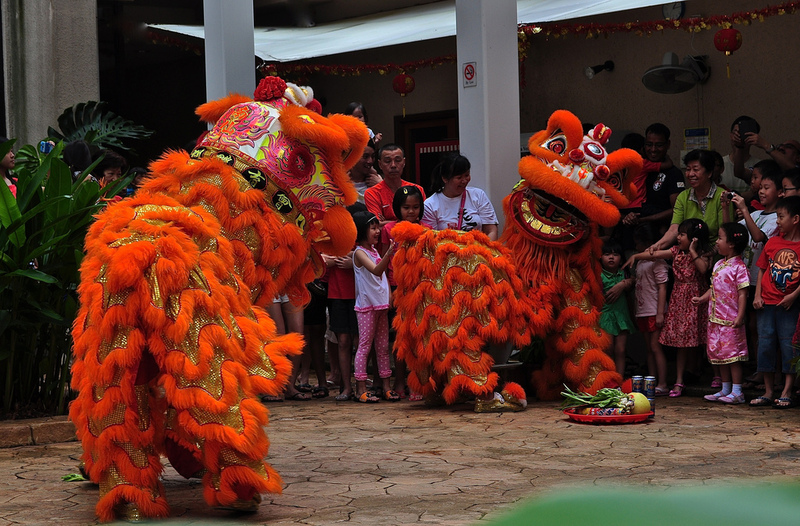 Staying at a friend’s apartment, I loved seeing the dragon dancers visiting each courtyard, gobbling up the food offerings and all the residents and kiddies coming out to watch the skilful displays and admire the dancing. 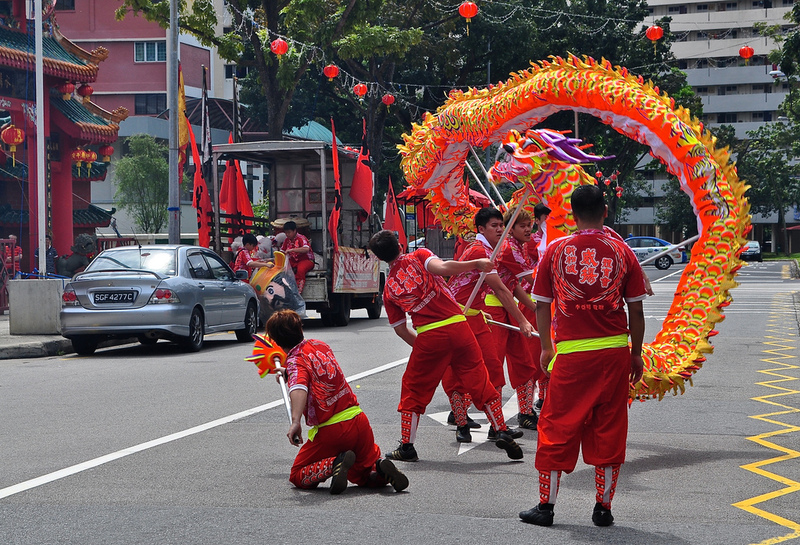 These dragon dancers cropped up again and again – visiting the local temples and stopping traffic! 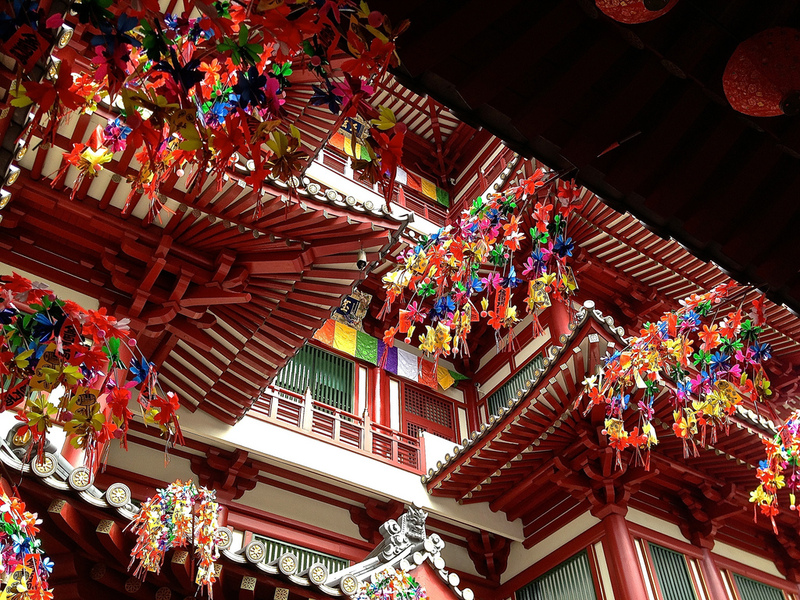 In the heart of Chinatown itself, I love the beauty of the repetition – all these lanterns had messages on them – rows upon rows of wishes and dreams. I am not really a red and gold person but suddenly in this context, on this occasion, the more vibrant the colour, the more I enjoyed it. The joy of the occasion was evident with the Singaporeans – it’s a very personal celebration spent with family and friends. Traditions range from thoroughly cleaning the house to sweep away ill-fortune and to make way for incoming good luck. 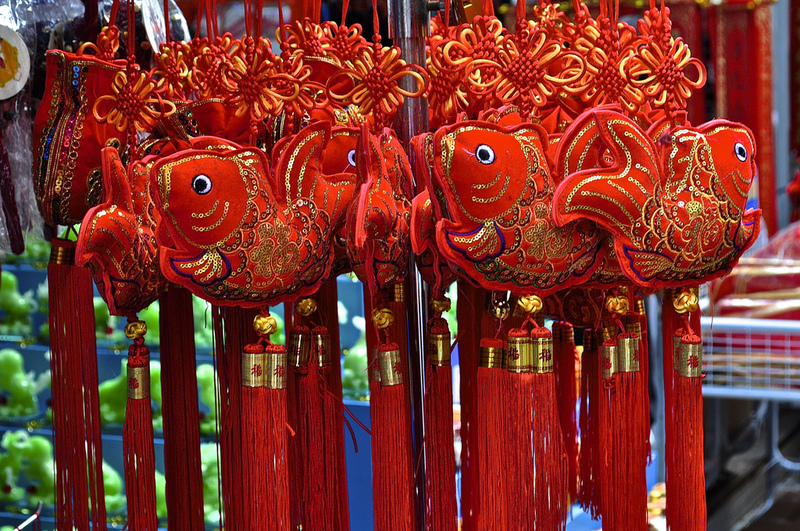 Windows and doors will be decorated with red decorations with themes of good fortune, happiness, wealth and longevity. 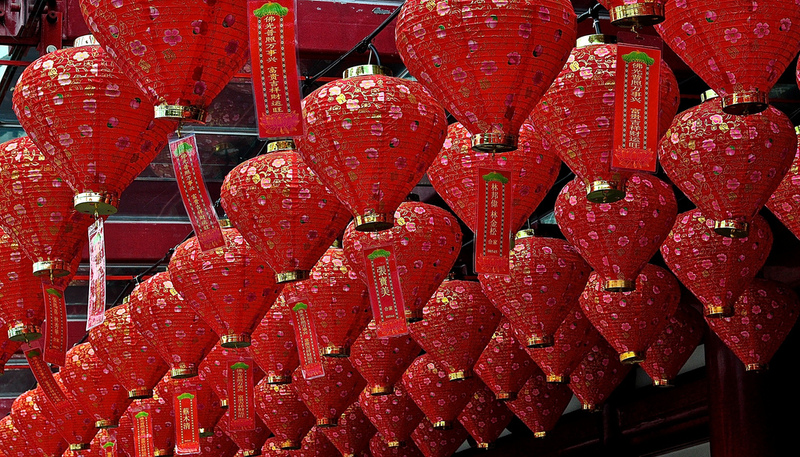 Gong Hey Fat Choy indeed – I hope 2014 will be everything you would like it to be.